Bradford County Commissioners (above, from left) Doug McLinko, Daryl Miller and (right) Ed Bustin unveiled the new logo and tagline for the Bradford County Tourism Promotion Agency with director Robyn Chamberlain yesterday at the Bradford County Historical Society (top). 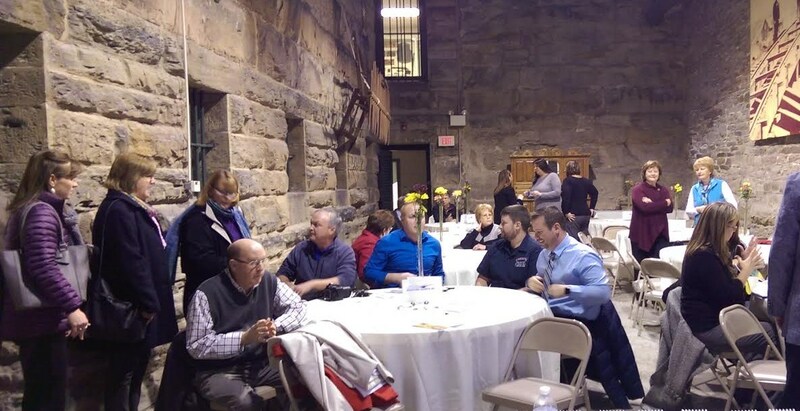 The regular meeting of the Bradford County Commissioners scheduled for Jan 28 was held at the the Bradford County Historical Society’s headquarters in the old jail building on Pine Street, providing a unique backdrop for the unveiling of a logo, tag line and other promotional information for the Bradford County Tourism Promotion Agency. Once the partnership was formally dissolved in 2015, the commissioners set long-term goals to create a professional marketing blueprint to move forward and contracted with Development Counselors International (DCI), a New York-based marketing firm that specializes in economic development and tourism marketing. DCI delivered a 73-page report to the commissioners in August 2015. Yesterday, the commissioners shared some of the highlights of the study and presented the new logo to the public as the first phase of implementing the many suggestions in the report in the coming months and years. 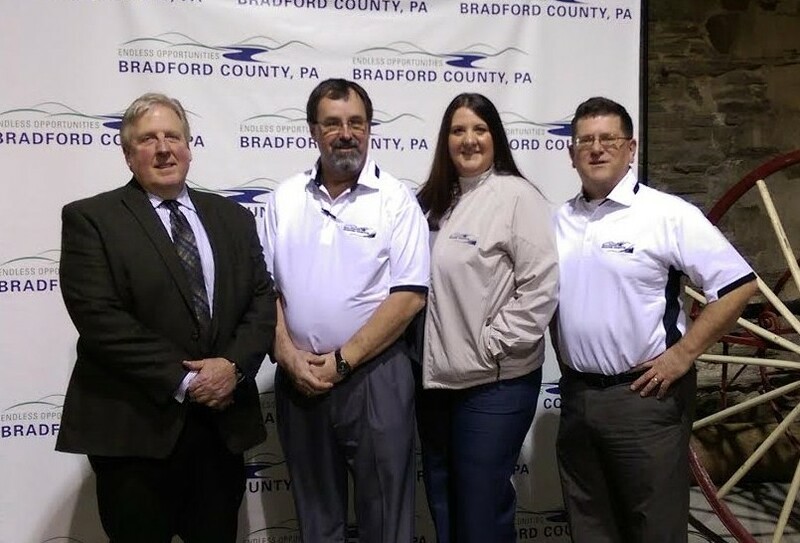 Through the new agency, Bradford County maintains full control over state Room Tax revenue, which was formerly disbursed to the county by the EMVB. McLinko has stressed many times that he feels attracting business investments from target industries will result in increasing tourism. The report cites the Susquehanna River and state game lands among the county’s greatest attractions.